The purpose of shapewear is to create a shape. The survey results published in the previous blog post, SMM, Part 1, were enlightening. The information pertained to both the product experience and the women who wear it. Why wear shapewear? 62% of responses were for a smoother look, 25% -- to look smaller, 13% -- to create a shape. While there is no more noble purpose than a smooth, composed look, the best use of shapewear is to create a shape. Hence, SHAPEwear. It is the shape that is important, not the size of the shape. The first and most important aspect of dressing from the inside out is to assess where you are right now. You must know your strengths in order to highlight them. This is the most difficult aspect of all. Our tendency to be critical of ourselves often obliterates any objectivity. No innerwear is as strong as an inner glow. Be as compassionate with yourself as you are with your loved ones. Believe me, nothing you wear could be more beautiful. To create a shape, bring the eye to the smallest part of you. If you don't have one, create one! Remember, the size of the shape does not matter. It is the shape itself. In most cases, the waist is the smallest. This creates the classic hourglass. Use both innerwear and outerwear to draw focus to this area. Most women are self-conscious about their hips and backsides, often trying to simply cover these parts. This only makes you look bigger and shapeless. Rather, bring the eye to the smaller part, your waist, thus defining a shape. From the outside, that could mean fitted jackets, belts & belted clothing, dresses with fitted bodices and flared skirts, wrap dresses, etc. From the inside, it could mean a corselette (all-in-one), high-waisted control brief, or a longline bra -- all depending on the outfit it supports. Notice each garment helps create a waist. Most of today's modern shapewear uses a circular knit technology, most likely Santoni. This provides a seamless or near-seamless garment. The garment's shaping ability relies on compression. The more compression, the tighter the garment, the harder to put on and take off. Try a garment with either a zipper or hook & eye closure. You'll have a much easier time getting in and out and during bathroom breaks. 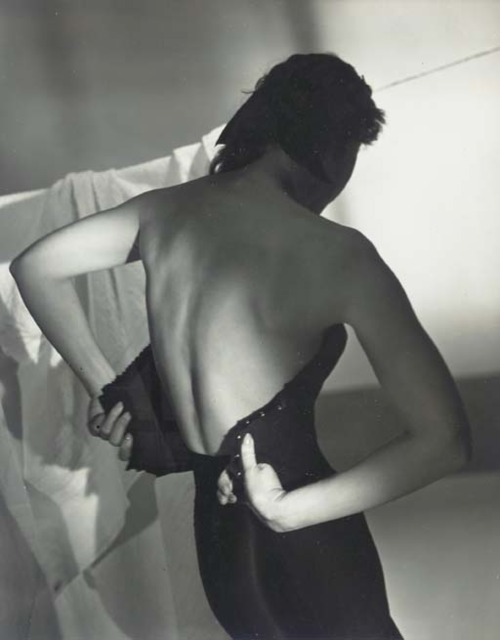 In days past, shapewear was worn daily as the foundation for dressing. Today's woman is more relaxed and can choose shaping garments as a tool at her disposal. One can reduce their size with shaping garments, but know that such compression will come with a price. Namely, you may be in the restroom with a pair of scissors cutting yourself out so you may breathe again. Best to make sensible decisions for your outer layer as well as your inner. Use your innerwear to enhance shaping and, as your clothes do the same, you will bring more beauty to the world. Do not strive to be invisible. It is your birthright to be beautiful.